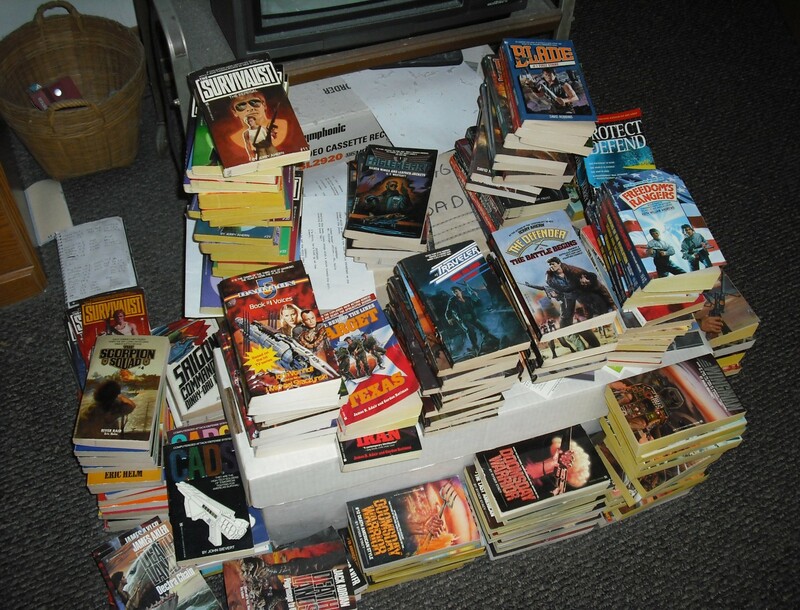 July 2016 – THE BOOKS THAT TIME FORGOT. The war is coming to a dramatic head. The Soviet Underground City and Underwater City have agreed on an alliance. Their Island Class submarines will bomb the German City with their missiles while the Underground land forces will then assault it. Rourke and his allies come up with a desperate plan. They will send a commando force to capture the Soviet submarines. Then use them against the land forces. The story is coming to a conclusion. They end with a great victory and are on the verge on assaulting both Soviet cities. There is another ominous development in the Nazis are still causing trouble. They stage an attack on the German city so this does hint at future troubles with them down the road. This is the last book in the second story arc and next book will have a lot going on. Something completely unexpected and a whole new chapter in the Rourke family adventure. 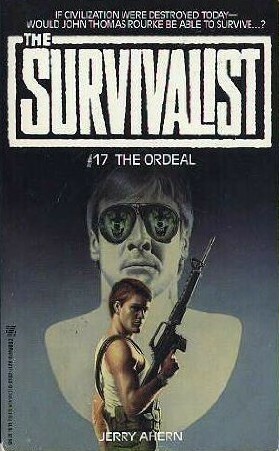 Rourke and his new join commandos are able to successfully repel the Soviets in both Iceland and the Eden base. There is a new threat besides the Soviets. Sarah Rourke his wife has killed a Nazi named Damien Rausch. Damien’s brother Frederick is still alive and wants revenge. Now Rourke has to protect his wife from a vengeful Nazi. The Soviet Underground city has meanwhile made an alliance with the Undersea Soviets. 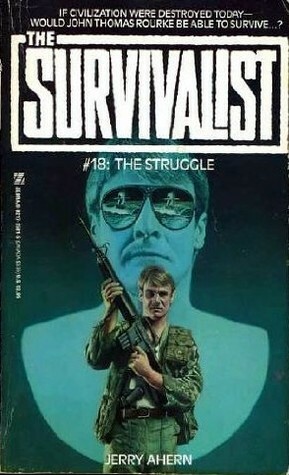 This book dealt a lot with the threat of the resurgent Nazis that were starting to be a serious threat. Commander Dodd of the Eden project has allied himself with the Nazis to keep his power and a shared belief with the Nazis philosophy of racial purity. Friedrich Rausch is proven to be the equal of Rourke which makes him a very dangerous opponent. Also we get some insight into the women characters as they all take shelter in the Retreat. A short but interesting story before the big final conflict that’s about to take place. The war is entering a new phase. Mid-Wake is officially joining the alliance and has made John Rourke a Brigadier General to command a join commando force of troops from the various factions. The Soviets have developed particle beam weapons that are portable. This could be a game changer. Marshal Antonovich is concerned this could spiral out of control and force the Germans to use nuclear weapons. He dispatches Major Prokopiev who is in trouble for letting the Rourkes go from the last book. Prokopiev is to take the plans for the particle weapon to Rourke and bring parity to the situation. So now Rourke has to save Iceland and the Eden base from falling while dealing with this new threat and a growing Nazi movement to overthrow the current German regime. Things are starting to move in an interesting direction. The new particle beam weapons threaten a new nuclear holocaust that would irreparably destroy the planet. Antonovich is shown as a man who care more for the survival of the world than Communism which is an interesting development and an unexpected ally. Finally there is resurgent Nazi movement from the old regime that is backed by Commander Dodd of the Eden project which gives a whole new threat to the forces of democracy. 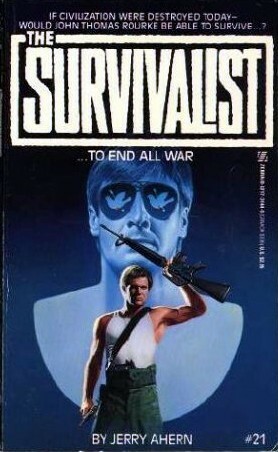 Rourke has made it to safety after stopping the Maoist cult from destroying the world. Now he searches for Natalia and his daughter Anne who are missing after crashing into the ocean. He believes that they were rescued by the Americans of Mid-Wake and attempts to make contact. He does contact them and in the process gets involved with their war with the Underwater Soviets. The island of Iwo Jima is a Mid-Wake training ground for surface warfare and has been discovered by the Soviets. 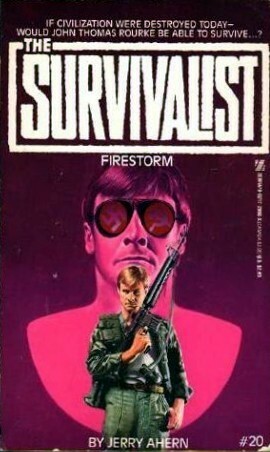 After brutally executing the marines and sailors on the island Rourke makes a plan for revenge. He will steal intact one of the Soviets massive Island Class submarines. So now Mid-Wake is starting to play a more prominent role in the war. The Underground Soviets have developed a portable particle beam weapon that could change the outcome. They also plan to ally with the Underwater city greatly expanding the threat. The Soviets are also making great gains in potentially overrunning Iceland and the Eden base. Another great entry in this series. 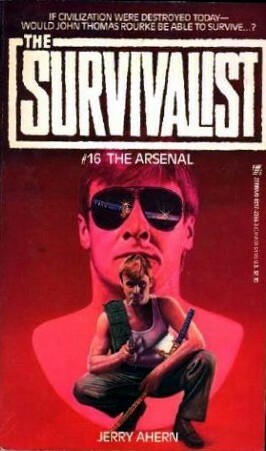 Rourke has succeeded in rescuing his son from the Second Chinese City. This happened during the Soviet attack. In fact the Soviets are on the offensive everywhere. The First Chinese City, Iceland and the Eden base. In addition to being trapped deep in enemy territory he has to deal with the fact that Natalia has had a nervous breakdown and is completely out of it. Still there is a much bigger worry. The Second Chinese City has a cult that worships a nuclear missile. They plan to launch it. It that’s not enough the city also has one of the largest nuclear reactors ever built. If it goes off it could punch a hole through the Earth’s crust. 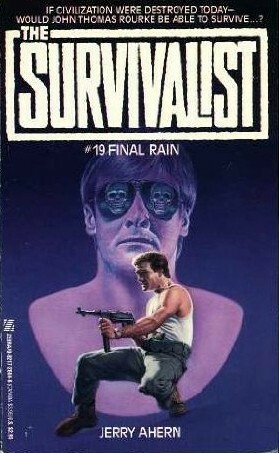 Now Rourke, his son, companions and a KGB officer who was rescued with his son must infiltrate the Second Chinese City and stop the insane Maoist cultists from destroying the world. The action is really heating up in this series. A full blown war is now raging across the world. There is a real threat to the world being destroyed. Its a fast paced story that sees the Second Chinese City destroyed and Natalia and his daughter Annie crashing into the sea in a helicopter. The Soviets seem to be making gains and appears unstoppable. A great new direction for the storyline. 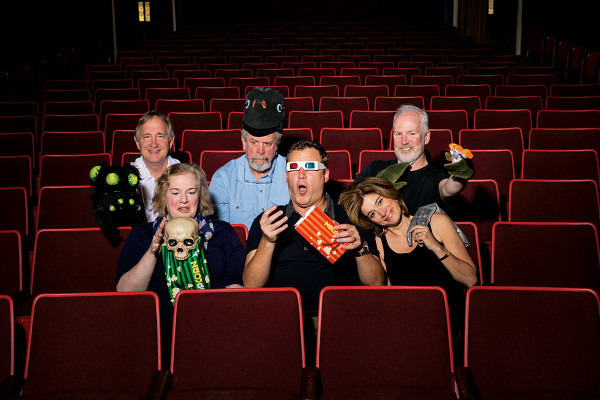 Its the twentieth Rifftrax live show and the guys decided to do something special. They got the band back together so to speak and instead of a movie did a series of shorts. The first the three guys started with “The Talking Car”. A short that used anthropomorphic cars with animated faces. They come in the dream of a little brat who almost got run over because he didn’t look both ways. The demon cars set him in his place. The second featured Mary Jo Pehl and Bridget Nelson and they did some promotional short from the fifties. Housewives discuss how their marital problems can be fixed by modern kitchen appliances. The Third was a real funny one with Trace Beaulieu and Frank Conniff. Some fifties short about some plain girl who really tried too hard to get a date. Then Mike, Kevin and Bill came back with a classic from the seventies. A safety short put out by Caterpillar about the dangers of being a macho man and operation heavy machinery. Joel and the new guy Jonah did another fifties goofy short on barbers and beauticians. It seems that the beauticians from the fifties were either New Jersey mobsters or Frankenstein. And finally the gang all got together for two shorts. One a fifties Superman episode that promoted buying treasury stamps and the other a classic rifftrax short on grass. It was an enjoyable show. Very nostalgic and nice to see everyone back together. So next up in August the guys go back to the traditional movies with the Japanese classic Mothra. Rourke and his family barely survive an attack by a squad of Elite KGB on a suicide mission to avenge the death of the Hero Marshall Karamatsov. Afterward it is decided to try and establish relations with the second Chinese city and Michael Rourke heads the delegation. Michael doesn’t have much luck with the xenophobic city ruled by the leader Mao and the true ruler his mistress who heads the Maoist cult. Now Rourke must go and save his son. Meanwhile Colonel Antonovich takes command of Karamatsov’s army. He is not the egomaniac that Karamatsov was and makes peace with the Soviet Underground city. Now with the combined forces of Karamatsov’s army and the Underground City the Soviets are in a position to launch an all out assault on the Chinese cities, Iceland and the Eden base. It is during this assault that Rourke manages to rescue his son but now is trapped deep in enemy territory with Soviet troops and remnants of the Second Chinese city forces are all around them. The story now takes an interesting turn. Antonovich is a much more rational man which makes him much more dangerous than Karamatsov. The reunited Soviets are going to make a very formidable opponent. The second Chinese city was an interesting place and also no help whatsoever as an ally. So now Rourke and his friends are trapped in enemy territory. A big development is Natalia has a complete mental breakdown. A challenge that Rourke must face in the next book.